The second month of Spring (that is of Wood) belongs to muw the Rabbit, the 1st Chinese month wholly in the Year of the Earth Dog. Here comes Chun Fun, the Spring Equinox and everything starts to be light again. The Rabbit is of course “secret friends” with the Dog. Together they make Fire. For herself that makes for a creative time. Generally a little travel works best for the domestically-inclined Rabbit about now. 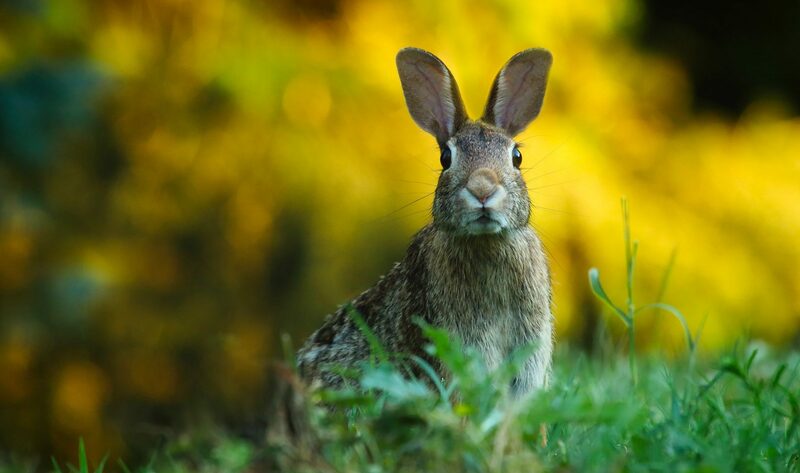 In so many cultures the Rabbit represents the re-emergence of life: buds becoming shoots, lambs in the field and the beginnings of leaves on the tree. The corresponding Hexagram from the Yi Jing or Book of Changes however is Da Zhuang, Thunder over Heaven, that is to say the Eldest Son taking precedence over the Father; meaning Great Power and the wielding thereof. This may seem a little previous so early in the year but traditionally Da Zhuang is taken as a cautionary sign; life is returning but don’t overplay your hand. This advice may relate in particular to the year’s other favoured beasts: Tiger, Horse and Dog, all of whom have a tendency to Fire. You might interpret this as the risk of over-reaching. Each of these, the patient Tiger, the spontaneous Horse and the reliable Dog are advised to respond to the breaks as they come now and not to over-anticipate. The tao has a sense of humour and pratfalls are possible even when your Animal is on a roll. The Dragon’s resources are traditionally drawn upon by the Rabbit; so this month Dragons can expect to be footing the bills. The Snake whose confidence may have been boosted during the Rooster year is also best advised to take it gently for now. Your unique combination of Earth, Fire and Metal may be at its weakest in early Spring. The Watery Rat may feel as they often do at this woody time of year; neither here nor there but next month’s Dragon brings some high spots. Which also goes for the Monkey who is less accident-prone now; but keep your head down. Finally the elegant Rooster is challenged by the more practical Rabbit. Nothing wrong with a fair challenge, it may prove the wake-up call you’ve been needing. Watch for that and respond appropriately, I should.